Provide a reliable source of protection for your precious Samsung I9500 Galaxy S4 with this durable silicone case which is specifically made to shelter your phone. 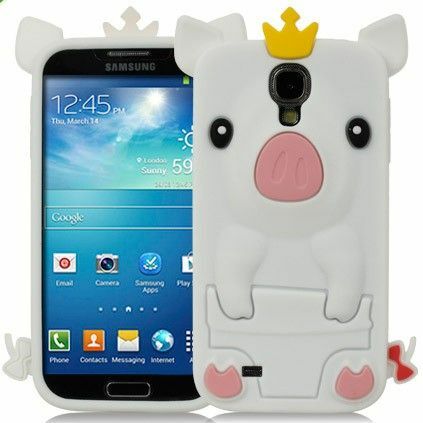 Its adorable King Pork Chop design gives your Samsung I9500 Galaxy S4 a look that will definitely capture anyone's attention. Its precise cut-outs provide you with full and easy access to all your phone's ports and controls. This is made from high-quality silicone material which is strong enough to protect your phone from impact, shocks and unsightly scratches. The rounded edges offer the best protection around whilst preserving the svelte lines and look of your phone. You can now preserve the new look of your phone, provide impact & shock protection and keep the compact dimensions with this fantastic looking case!